A-E There are 143 products. https://nuclearwarnowproductions.bandcamp.com/album/live-ritual-friday-the-13th Die Hard Version: Red vinyl LP, gatefold jacket, 2 sided A2 poster, 36" cloth tapestry, sticker. 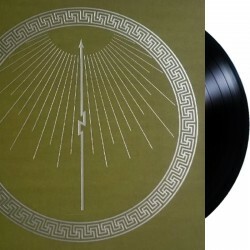 https://nuclearwarnowproductions.bandcamp.com/album/live-ritual-friday-the-13th Regular version on black vinyl with gatefold jacket and a two-sided A2 poster. 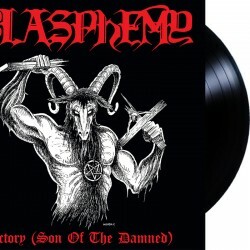 https://nuclearwarnowproductions.bandcamp.com/album/victory-son-of-the-damned Die Hard Version: Red vinyl DLP, gatefold jacket, A2 poster, 36" cloth tapestry, sticker. Single sided-LP with etching on the B-side and amazing silver-foil sleeve. Killer release! https://cepheide.bandcamp.com/album/respire On Fallen Empire. One copy found in storage. https://nuclearwarnowproductions.bandcamp.com/album/war-cult-supremacy Black vinyl, gatefold jacket, insert and A2 poster.This Double LP features all of the recordings Conqueror ever created including the demo and a compilation tracks. The third album of Orthodox Black Metal cult entity COUNTESS. Originally released in 1995 on CD and now finally available on vinyl. 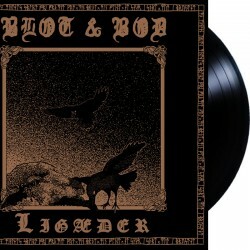 Limited to 500 handnumbered copies on traditional black vinyl. Comes with heavy inlay. Listen here! Box found in storage: 2LP gatefold black etched, full color cover with original artwork, never released photo's in the 12 page booklet, 2x180 grams vinyl, silver logo and title hotfoiled on cover. Limited to 666 hand-numbered copies! https://signalrex.bandcamp.com/album/s-t FINAL RESTOCK!!! Limited to 300 pieces- Poly-lined inner sleeve.- A4 insert- 140grs black vinyl.- 350 grs sleeve with 3mm spine, reversed print on white board.